Love Nail Art? These Are Kind of Equipments You Need to Have – Today, the nail art trends are so much loved by women. Not always teenagers, many adult women are also interested in the activities of decorating nails. At first, nail art can only be done at beauty salon servedby a professional nail technician. As time goes by,now everyone can do nail art themselves at home. However, the process of adorningthe nails must be done carefully so that you can get satisfying results. Frequently, may women rely on others to help the nail artprocess. They commonly rely on nail polishor nail lacquer to beautifythe nails.Don’t you know that to do nail art perfectly, you should use more complete equipments? Nail art lovers surely must have a nail polish as the most important tool. More than that, you should also have some other tools to do the series of nail art process that you can use at home. All you need to do is learning the steps of how to decorate the nails correctly by viewingvideos or reading articles tutorials on the internet. So, you no longer need to bother yourself to go to a salon everytime you want to beautify the nails. Undoubtedly, this is the most important item to decorate the fingernails. 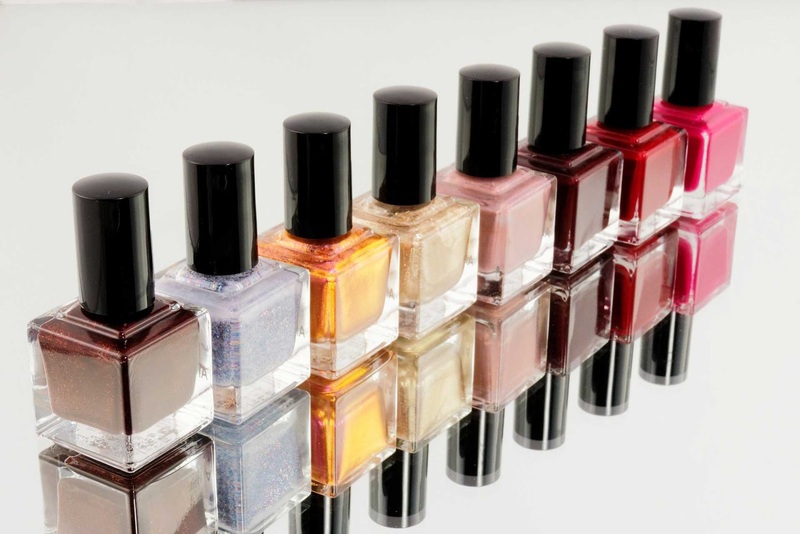 Choose the suitable colors of the nail polish which will perfectly embellish your nails. The chosen nail polish colors,whether they are bright, soft or dark, will determine your style and reflect your personality. Make sure that you pick the right nail polish colorsand adjust them to the nail art theme and concepts. These items usually contain vitamins that are used before you apply the nail polish on the nails. Base coat works as a protection to shield your nails from the applied polish and prevent undiserable effects on the nails. Usually, if not using base coat first, your nails will displeasingly turn to yellow after the nail polish is applied. If that happens, your nails look will be so dull and unattractive. Do not get confused about a base coat and top coat. Both are clear-coloured but have different functions. If base coat is used before using nail polish, then top coat is a nail art tools used after you finish applyingnail polish. Its function is to improve the embelished nail appearance. So that, the results ofnail art will be more durable and more sticky. This tool is to remove lacquer that stick on nails. If there are untidy lacquer scratches in the making of nail art then you can remove them with nail polish remover. Justdrip the nail polish remover fluid onto cotton then sweep gently to the lacquer you want to erase. This tool resembles the shape of a pen with a rounded tip. You need this useful tool for creating motives and patterns such as polkadot or lines on nails. For nail art fans, it is recommended that you should have this tool with varying dottingdiameters. So that, the nail results will be more variedly attractive. A series of nail brushes serve to paint your fingernails. Each brush has a different function depending on its shape. With these tools, you can paint each nail and create freely any motives you like. This tool serves to give ombré or gradient effects on your nails. You just need to apply more than one lacquer with different colors on a sponge. And then,push it to the nails in order to produce an attractive color gradation. Its function is to give an effect of straight lines on the nail. You only need to attach the tapewith preffered patterns you wantto the nailsadequately. Then thestraight lines will visibly appearon your nails. Usually,these nail art supplies include regular nail clippers, nail scissors, diagonal cuticle knife, cuticle trimmers, nail sharpener, tweezers, etc. All these tools serve to spruce up and care for nails. If you cannot paint the nails using a brush, then you can use nail stickers. These items have many variations that will make your nails look beautiful. With 2-dimensional or 3-dimensional nail stickers, you can do some kind of experiments that will improve the results of nail art with a simple way. All you need to do is pasting them on the nails that has been polished with lacquer. After that, you can apply top coat to make the nail stickers more durable. Glitter is a complement tool which givessparkling effects on the nails that has previously been polished with lacquer. It’s almost the same as the hair which needs drying. The nails are also. For that, you need a nail dryer. As the name suggests, this tool can make the nails dry out more quickly. So, you no longer need to troublesomely blowing the nails while they are still wet with your mouth or flutter them in front of fan. This tool serves to create unique nail art designs with available patterns. You can do it by slatheringnail lacquer onto a designplate. This plate serves as the stamp itself. Then, flatten the nail lacquer evenly with a scrapper. Paste the stamper that has been smeared with lacquer on the nails you want. How to use liquid latex is simply by applying it in the skin around the fingernails. Then you can use nail lacquer without having to fear of messing the skin area during the making of nail art. It is a long-shaped equipment that needs to be sliced thin before use. You can paste the result of fimo stick slices directly into the nails as a complement which make your nail art look more adorable. This object is in the manicure set that serves to pinch small objects that is pinned on the nails. The example isa fimo stick that needs tweezers to be neatly arranged on the nails.